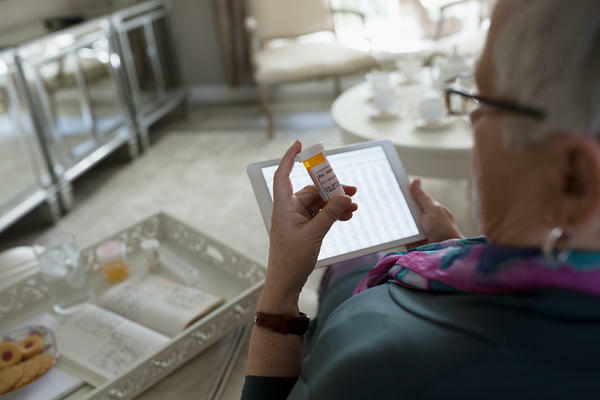 Prescription drug coverage is one benefit that drives up insurance costs, and one that is very popular with consumers. At the heart of those negotiations is the law's requirement that most insurance plans offer 10 specific categories of "essential health benefits." They include hospital care, doctor and outpatient visits and prescription drug coverage, along with things like maternity care, mental health and preventive care services. The Freedom Caucus had been pushing to strip required benefits, arguing that the coverage guarantees were driving up premium prices. "We ultimately will be judged by only one factor: if insurance premiums come down," the Freedom Caucus chairman, Rep. Mark Meadows, R-N.C., told The Heritage Foundation's Daily Signal last month. But moderates, bolstered by complaints from patient groups and constituents, fought back. And a brief synopsis of a proposal outlined by Rep. Tom MacArthur, R-N.J., suggests that the compromise could be letting states decide whether they want a federal waiver to delete essential health benefits. "The insurance mandates are a primary driver of [premium] spikes," Meadows and Sen. Ted Cruz, R-Texas, wrote in March. But health analysts and economists say that eliminating those benefits probably won't bring premiums down — at least not in the way conservatives are hoping. "I don't know what they're thinking they're going to pull out of this pie," says Rebekah Bayram, a principal consulting actuary at the benefits consulting firm Milliman. She is the lead author of a recent study on the cost of various health benefits. Opponents of the required benefits point to coverage for maternity care and mental health and substance abuse treatment as things that drive up premiums for people who will never use such services. But eliminating those benefits wouldn't have much of an impact, Bayram says. Hospital care, doctor visits and prescription drugs "are the three big ones," she says. "Unless they were talking about ditching those, the other ones only have a marginal impact." John Bertko, an actuary who worked in the Obama administration and served on the board of Massachusetts' health exchange, agrees: "You would either have very crappy benefits without drugs or physicians or hospitalization, or you would have roughly the same costs." Maternity care and mental health and substance abuse, he says, "are probably less than 5 percent" of premium costs. Of course, requiring specific coverage does push up premiums to some extent. James Bailey, an assistant professor of health economics at Creighton University in Omaha, has studied the issue at the state level. He estimates that the average state health insurance mandate "raises premiums by about one-half of 1 percent." Those who want to get rid of the required benefits point to the fact that premiums in the individual market jumped dramatically from 2013 to 2014, the first year the benefits were required. "The ACA requires more benefits that every consumer is required to purchase regardless of whether they want them, need them or can afford them," Ohio Insurance Commissioner Mary Taylor said in 2013, when the state's rates were announced. But most of that jump was not due to the broader benefits, Bayram says, but to the fact that for the first time sicker patients were allowed to buy coverage. Meanwhile, most of the research that has been done on required benefits has looked at plans offered to workers by their employers, not policies available to individuals who buy their own coverage because they don't get it through work or the government. That individual market is the focus of the current debate. Analysts warn that individual-market dynamics differ greatly from those of the employer insurance market. Bailey says he "saw this debate coming and wanted to write a paper" about the ACA's essential health benefits. But "I very quickly realized there are all these complicated details that are going to make it very hard to figure out," he says, particularly the way the required benefits work in tandem with other requirements in the law. For example, says Bertko, prescription drugs can represent 20 percent of costs in the individual market. That's far more than in the employer market. Another big complication is that the required benefits do double duty, Bayram says. They not only ensure that consumers have a comprehensive package of benefits, but enable other parts of the health law to work by ensuring that everyone's benefits are comparable. For example, the law adjusts payments to insurers to help compensate plans that enroll sicker-than-average patients. But in order to do that risk adjustment, she says, "all of the plans have to agree on some kind of package. So if you think of essential health benefits as an agreed-upon benchmark, I don't know how they can get rid of that and still have risk adjustment."